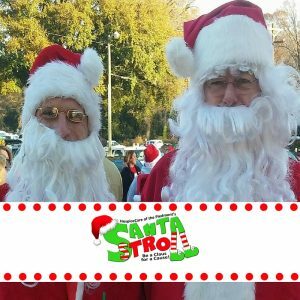 This years Santa Stroll will be on Saturday, December 3rd. Registration will be at 8am with the 5K starting at 9am. Our 5K walk (3.1 miles) takes you from First Baptist Church through surrounding scenic residential areas…or try the one-mile fun walk. Keep the care going, walk to raise money for HospiceCare of the Piedmont’s Hospice Fund. Remember loved ones no longer with us, and honor all Hospice patients. Contact us for more information, 227.9393.